The release of the Proton Preve Hatchback by Proton Holdings is not a secret for motor enthusiast as rumours about the car have made it to several motor related blogs in the nation. At PaulTan.org, spy shots of the new car were uploaded and shared for viewing (as seen above), with little of the specifications of the car made know so far. 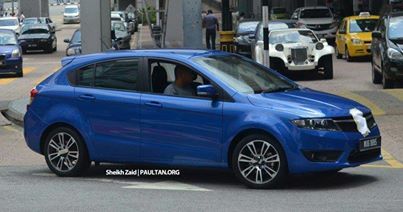 According to the blog, Proton will looks certain to release another model aside from this Preve Hatchback, which is said to be smaller in size and similar to Proton Emas. Those wanting details on the new car however will have to wait for the official announcement from Proton. What do you think of the car? Looks good?